Apple promises to unleash "the future of the smartphone" when it launches the iPhone X on November 3, but Apple-aficionados hoping to immediately nab the heralded device might face a long wait for that future due to low supplies. 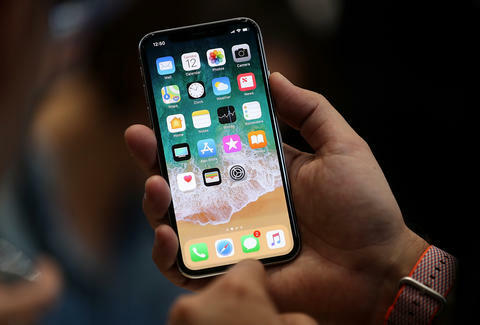 Numerous issues have hampered iPhone X production in recent weeks, with fresh reports surfacing on Tuesday that suggest Apple will ship just half the units it initially projected for the coveted handset before the frenzied holiday season begins. According to a Nikkei report, the Cupertino-based tech giant is only producing about 20 million iPhone X units this year, or half of the 40 million devices it had reportedly planned to make available under initial forecasts. In light of the supply shortage, which Nikkei attributes to Apple's "struggles to solve technical issues" with sensor parts used for the phone's Face ID facial recognition system, Apple encouraged customers to arrive early at its retail locations when the device hits shelves at 8am local time. If anything, expect to get comfortable in lines that dwarf the minuscule crowds that gathered for the ho-hum release of the iPhone 8 in September. The new intel from Nikkei, which suggests Apple is producing 10 million iPhone X units a month, presents a better picture than originally thought. In a research note last week, KGI Securities analyst Ming-Chi Kuo advanced a grim forecast, writing that Apple would ship just 2-3 million iPhone X units by the November 3 release date. In 2015, the company has sold more than 13 million iPhone 6s and iPhone 6s Plus models during launch weekend alone. Apple's leadership doesn't appear to be too optimistic about the potentially problematic rollout either: When asked about the supply shortage, Apple CEO Tim Cook told Buzzfeed: "We'll see what happens. We'll be working as hard as possible to make as many as possible." The iPhone X will be available for pre-order on Friday, October 27, and members of Apple's iPhone Upgrade Program can apply for pre-approval for financing through the company's Apple Store app this week to get a head start. Getting pre-approved doesn't mean you're skipping the line and securing an iPhone X model, but you'll have one fewer step to get through as you frantically try to add the phone to your cart and checkout before they're all gone. Perhaps on the bright side, it looks like many people are planning to hold off on upgrading for a bit. Even Apple co-founder Steve Wozniak suggested that immediately buying the iPhone X might be unwise, saying, "I'd rather wait and watch that one. I'm happy with my iPhone 8 — which is the same as the iPhone 7, which is the same as the iPhone 6, to me. That being said, it's never too late to survey the bevy of smartphone options at your disposal, and to compare the $999 iPhone X with the iPhone 8 -- a cheaper counterpart that starts at $649, just with way less groundbreaking technology.